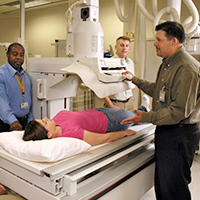 If you are excited about becoming an well-rounded, knowledgeable Radiologic Technologist, this is the program for you. 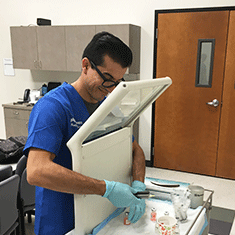 Radiologic Technologists are trained healthcare professionals who perform medical imaging to assist a physician in diagnosing a patient's injury or illness. 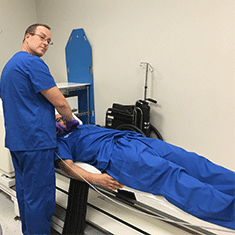 There are many components to obtaining high quality diagnostic images such as proper use of the equipment, positioning of the patient, selecting adequate technical factors, following radiation safety regulations, etc. 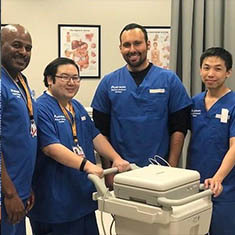 Our rigorous program will provide you with hands-on training in various medical facilities throughout Northern California in addition to what is taught in the classroom. 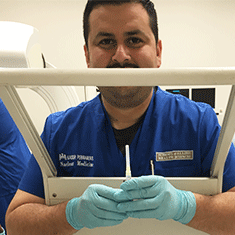 Radiography is offered as a day or evening program. We are committed to shaping compassionate radiographers dedicated to a future of meeting diverse healthcare needs within the community. Prepare students to pass the state and national certification examinations. 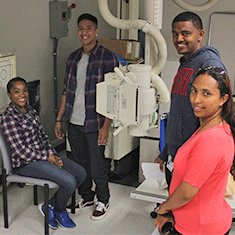 Students will be able to demonstrate the skills and behaviors needed to be an entry level Radiographer. 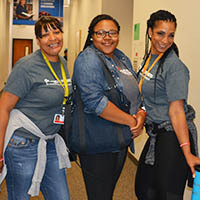 Students will demonstrate a commitment to personal and professional growth. Function in a professional and ethical manner. 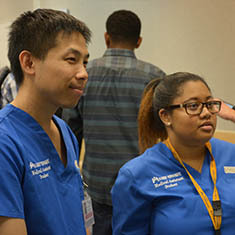 Communication Skills: Graduates will be able to communicate effectively with patients and health care professionals. 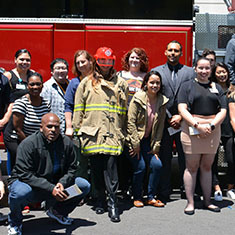 Critical Thinking: Graduates will be able to effectively utilize critical thinking skills in their performance in individual and team scenarios. Professionalism: Graduates will be able to demonstrate professionalism and a commitment to providing high standards of patient care. 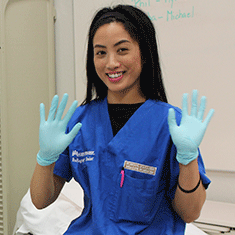 Teamwork: Graduates will be able to work collaboratively in health care teams. 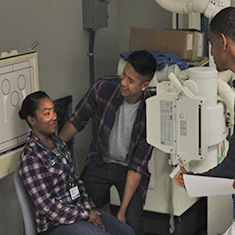 Program effectiveness data (credentialing examination pass rate, job placement rate, and program completion rate) is reported annually to the Joint Review Committee on Education in Radiologic Technology (JRCERT). Recent data submitted based on JRCERT criteria is provided below; however, please note that calculation of credentialing examination pass rate, job placement rate, and program completion rate may follow a different methodology than that used by other state or regulatory agencies. The 2017 annual report instructions, including methodology, is available by clicking here. 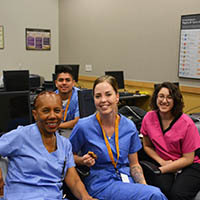 For additional information on program accreditation, refer to the web site of the Joint Review Committee on Education in Radiologic Technology, www.jrcert.org. Please refer to the description in the Catalog for additional details about this educational program.